shaped white flowers in spring. Size: Approximately 50-60cm x 50-60cm. Position: Full sun to part shade. 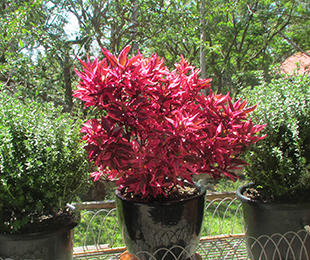 Brazilian Red Hots™ Alternanthera loves humidity and is heat tolerant. It’s a frost tender shrub, so it will need to be planted in a sheltered position to protect it from light frost. 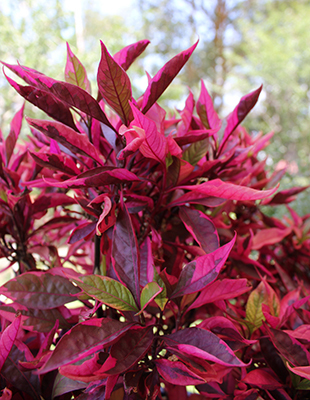 In frost-free areas Brazilian Red Hots™ Alternanthera can be planted in full sun to part shade. It requires well drained moist soils. Provide the Brazilian Red Hots™ plant with adequate water as required. Keep moist in dry weather and protect from light frost.